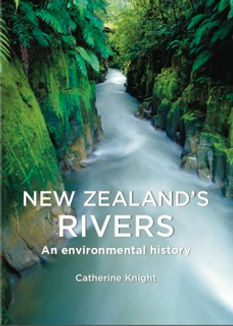 Since New Zealand’s Rivers has been released, I have had a number of opportunities to talk to journalists and others about the book and how I came to write it. So, I thought I would document these questions and my answers in a series of posts. To answer this properly, I have to go back to the motivations behind my first book, Ravaged Beauty: An Environmental History of the Manawatu. The genesis of this book stemmed from a desire to better understand the place in which I grew up, one of the most transformed landscapes in New Zealand. As such it was very much an endeavour of the heart – though this sounds a bit cliched, it was genuinely a journey of discovery for me – uncovering the layers of a landscape that had been so familiar to me, yet so unknown. But of course this book only had a limited audience because of its focus on the Manawatu – a region dismissed by many (including prospective publishers) as ‘boring’. So for my next book I wanted to write something that would be rewarding for me as a researcher and writer but also exploring a subject that would meet a need – preferably on a national scale. So I consulted Professor Tom Brooking, one of our leading environmental historians, and he immediately suggested rivers. While there is a range of environmental history scholarship on other parts of our environment: our forests, our coasts, and our towns and cities, there is virtually nothing on rivers and other water bodies. (I should acknowledge too, there is very little about our marine environment either, but I will be leaving that to someone else.) Professor Brooking saw a real need to fill this gap in the environmental history scholarship to better inform the debates around fresh water going on today – debates that are pursued with little reference to the historical context. A notable of course exception being Waitangi Tribunal claims relating to fresh water, which are all about history. But while Maori are painfully aware of their history in relation to their tupuna awa (ancestral rivers), non-Maori New Zealanders seem to be blissfully unaware of their history. The subject of rivers posed a challenge for me, because apart from knowledge I had gained from my research of the Manawatu, I knew next to nothing about rivers. But knowing nothing was in some senses a strength – it meant I could bring a level of objectivity that someone with a deep-seated passion for rivers (through fishing or kayaking or some other recreational interest for example) might not be able to bring to the subject. But environmental history is also intensely interesting and thought-provoking (constantly causing us to reassess our understanding of the world) – and therefore has immense value in its own right. 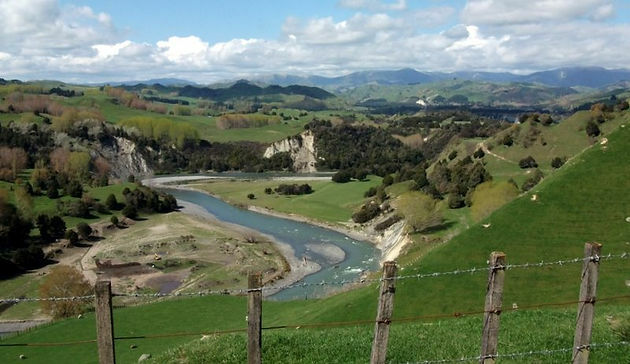 Photo: View of the Rangitikei River, taken by Maurice, cycling the infamous ‘Gentle Annie’ in 2010 (www.acta.org.nz). Next Article Did you know moreporks mewed? Many thanks for the congratulations David – and good luck on your book too. You should be able to track down the book in ‘all good bookstores’, including Whitcoulls. Will be interested to hear your thoughts. I am part of art exhibition next July concerning braided rivers and migratory birds and to be held in two north island galleries and in the South Island at Arts in Oxford & organised by printmaker Celia Walker. Should be good. The gallery is also hold workshops and talks.